Read a full summary of A Court of Wings and Ruin, book #3 of Sarah J. Maas’s A Court of Thorns and Roses series, right here! This page is full of spoilers so beware. If you are wondering what happened in A Court of Wings and Ruin, you are in the right place! In a flashback, two years before the wall went up, Rhysand finds himself in the aftermath of war. He searches for his friends on a bloody battlefield after fighting alongside the humans. In the present, Feyre is with Tamlin in the Spring Court pretending to be the saved damsel that they believe her to be. They don’t know that she is the Hight Lady of the Night Court. She attends a meeting with Ianthe, whom she hates for betraying her sisters, and Tamlin announces that Hybern will be moving their forces into the Spring Court. Jurian arrives along with the Hybern twins, Brannagh and Dagdan. Feyre, Lucien, Jurian and the twins inspect holes in the wall that keeps their forces from entering human lands. Feyre tells her maid, Alis that her feelings in the Night Court with Rhysand were all an act. 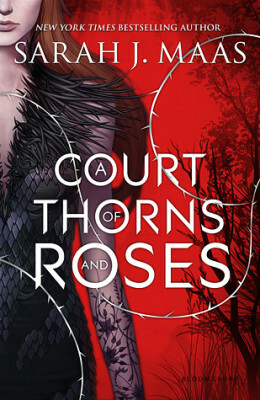 Follow Book Series Recaps’s board A Court of Thorns and Roses on Pinterest. Feyre arranges for the sun to shine on herself instead of Ianthe at the Summer Solstice Ceremony. This marks her as blessed to the people. After a nightmare, Feyre goes to Lucien, and they embrace. Tamlin walks in, making his own assumptions. Feyre wins the affection of Tamlin’s men by siding with them against Ianthe. Everything she is orchestrating puts a wedge between Tamlin and his people. Ianthe announces that the land around her temple is dying and that she intends to find the cause. Three Children of the Blessed are caught trying to cross the wall, but Feyre scares them away. The next day Feyre and Lucien find their bodies torn to pieces by the Hybern twins. Alis tells Feyre that she is going to the Summer Court. Feyre learns that the Cauldron will be used to collapse the wall. She decides to return to the Night Court. As she is leaving, she sees Ianthe abusing Lucien. Feyre makes Ianthe smash her own hand with a rock. 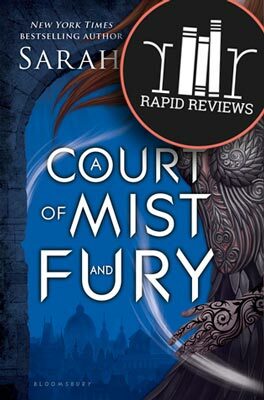 The Hybern twins approach and reveal that they have been poisoning Feyre’s powers since they arrived, but Feyre is still able to defeat them. 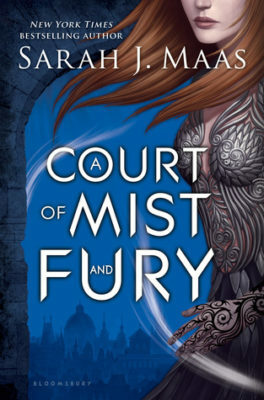 Lucien joins Feyre to the Night Court in order to see Feyre’s sister, Elain, who is his unrequited mate. On their journey, Lucien and Feyre are captured twice. The second time they’re rescued by Cassian and Azriel. Feyre and Rhysand are reunited in Velaris. Feyre visits the House of Wind, where her sisters have been staying. Nesta is angry, and Elain is a shell of herself, depressed and missing her human fiancé. The Night Court inner circle has a meeting about Hybern where they decide that they need to coax Feyre’s sisters into fixing the holes in the wall. Feyre trains with Cassian and Azriel agrees to teach her to fly. Rhys and Feyre decide to recruit the Bone Carver to help them. The Bone Carver’s price is that they bring him the Ouroboros Mirror. Reluctantly, Nesta agrees to help fix the wall as well as to join them to visit the Court of Nightmares while the others ask for aid and Feyre tries to take the Mirror. The Court’s leader, Keir, says he will help the Night Court if he can have access to Velaris. Rhysand agrees, and Mor is furious that he made this bargain with her kin. Feyre learns that some that look in the mirror lose their mind. She decides not to take it. Amren explains that the Bone Carver will need to be bound to a body to be set free. Lucien tries to heal Elain’s mind with their mating bond. During flight training with Azriel, Feyre is not doing well. He tells her the story of how Nephelle saved Miryam even though her wings were small and malformed. Hybern Ravens attack Nesta and Feyre in the library. They pass by a strange pit where something evil lives. Feyre makes a bargain with the monster. It will kill the Hybern Ravens if she will bring it company. They soon realize that Elain was made a Seer in the Cauldron. She tells them about another mortal queen that was sold to an evil lord. She is cursed and becomes a fire bird every night. Lucien volunteers to find her. Hybern attacks the Summer Court. When the Night Court arrives, they find that no other aid has come and the court is being slaughtered. Mor and Feyre fight their way through the palace. Rhys goes to the King of Hybern on his ships but finds that the king is only an illusion. After the battle, Feyre meets with Tarquin who is furious with her for stealing the Book. The Night Court meets with the High Lords in the Dawn Court. To their relief, all came, even Beron and Tamlin. Tamlin continually insults Feyre. The High Lords agree that the Spring Court must be evacuated and that they must all take an antidote to protect their powers. Nesta believes they are in danger and warns Feyre that they need to return home. It is revealed that Lucien’s father is Helion. A wave of power passes over the land, which means the Cauldron has destroyed the wall. Nesta becomes sick as it happens. Feyre and the others go to Graysen, Elain’s fiancé, and ask him to shelter humans. Jurian arrives and tells everyone that he’s actually a spy, and has been trying to destroy Hybern from the inside. He says that Hybern is planning to attack the following day from the Summer Court. Elain’s fiancé breaks up with her. There is a battle in the Summer Court, and they put a glamour over the war camp so that they can ambush Hybern without their knowledge. Feyre realizes that this isn’t Hybern’s true army and she goes to the Suriel for answers. The Suriel says that Nesta must nullify the Cauldron. Before they can learn more, Ianthe and two Hybern soldiers shoot the Suriel. Feyre leads Ianthe and the guards inside the Weaver’s cottage and traps them there. Feyre sits with the Suriel as it dies. Nesta finds the Cauldron but accidentally opens a link to Elain, and Hybern captures her. Feyre disguises herself as Ianthe to sneak into Hybern’s camp to rescue Elain. Azriel leaves with Elain while Feyre tries to rescue an injured human. She finds trouble but is saved by Tamlin. Hybern’s final attack is coming so they winnow as many humans away as they can. How does A Court of Wings and Ruin end? Feyre finally goes to retrieve the Mirror for the Bone Carver. She takes it to him but he tells her that he doesn’t need it, he only wanted to see if Feyre was worthy. The Bone Carver, Bryaxis, and the Weaver agree to join the battle. It doesn’t look good until Tamlin, Beron, and Graysen come to their aid. The Cauldron unleashes its power, killing Illyrian soldiers. Feyre’s father and Drakon bring ships to fight against Hybern. Amren and Feyre race to the Cauldron but Amren betrays her. Nesta and Feyre find that the King of Hybern has their father. Cassian tries to save Nesta but he is injured, and the King kills their father. Elain then stabs the king, killing him. Amren claims to have betrayed the group to win her freedom. Feyre realizes that the Cauldron must be restored and Rhys sacrifices himself to do it. The High Lords resurrect Rhysand, who then, in turn, saves Amren. Lucien returns from finding Vassa, the additional mortal queen. Feyre meets with Miryam and Drakon and asks them to hide the Cauldron on their island. She then calls a meeting to discuss a new treaty. They all return to Velaris. There you go! That’s what happened in A Court of Wings and Ruin. Hope you enjoyed this Court of Wings and Ruin summary with spoilers. Ready to read or reread A Court of Wing and Ruin or A Court of Frost and Starlight? Click to buy and help us pay for hosting! Check out awesome Court of Thorns and Roses art, quotes and more on Pinterest. 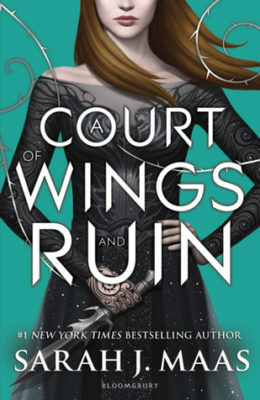 Oh and share this with your friends who might like to read a recap of A Court of Wings and Ruin.